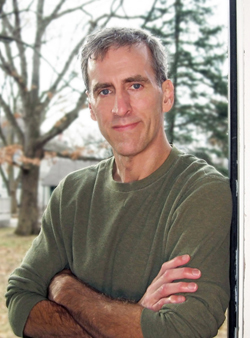 Tim Johnston is the author of the novels Descent and The Current (Jan 22, 2019), the story collection Irish Girl, and the Young Adult novel Never So Green. Published in 2009, the stories of Irish Girl won an O. Henry Prize, the New Letters Award for Writers, and the Gival Press Short Story Award, while the collection itself won the 2009 Katherine Anne Porter Prize in Short Fiction. Tim’s stories have also appeared in New England Review, New Letters, The Iowa Review, The Missouri Review, Double Take, Best Life Magazine, and Narrative Magazine, among others. He holds degrees from the University of Iowa and the University of Massachusetts, Amherst. In 2011-12 he was the Jenny McKean Moore Writer-in-Washington Fellow at The George Washington University, and he is the recipient of the 2015 Iowa Author Award. Tim currently lives in Iowa City, Iowa. Read the Publishers Weekly profile on Tim here. Connect with Tim on Facebook and stay up to date on his latest news and publications by clicking here. If you’re interested in reading some of his work online, you can find his essay about booktouring at Salon, his essay (plus excerpt) about writing Descent in The Algonquin Reader, another excerpt from Descent at Narrative Magazine, a prize-winning short story at Gival Press, and you can listen to his interview about following David Sedaris around the country on NPR’s The Story. For publicity inquiries, please contact Michael Mckenzie.